We are saddened to report that our long-time Trustee Bruce Andrews passed away at home after a brief illness on September 17, 2018, surrounded by his loving family. Bruce was elected to our Board of Trustees in June 2004, back when we were known as United Methodist Elder Care. Over the years, he served as Treasurer and also Chair of the Finance Committee. He was also an ex-officio member of the Audit Committee. 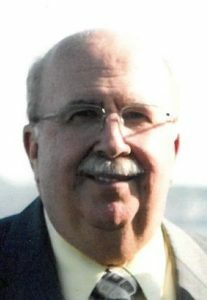 A lifelong resident of Lincoln, RI, Bruce retired from a 32-year career as a purchasing agent at Fram Corporation and subsequently 12 years at NEPTCO. He also retired as deputy chief of the Saylesville Fire Department where he served for 45 years. He was a member of Wesley United Methodist Church where he was treasurer for many years and served on all of its committees. On behalf of the Board of Trustees and staff, we are thankful for the opportunity to have known and worked with Bruce, and for his many years of service to Aldersbridge Communities. He was always generous with his time, treasure and vocational expertise, and we are forever grateful. He will be missed. Full obituary, service details and guest book are available here.